RSD Lite v6.2.4 is a small application for windows computer created by Motorola Team, which allows you to flash your Motorola Smartphones. It is one of the best Flash Tool for Motorola users. 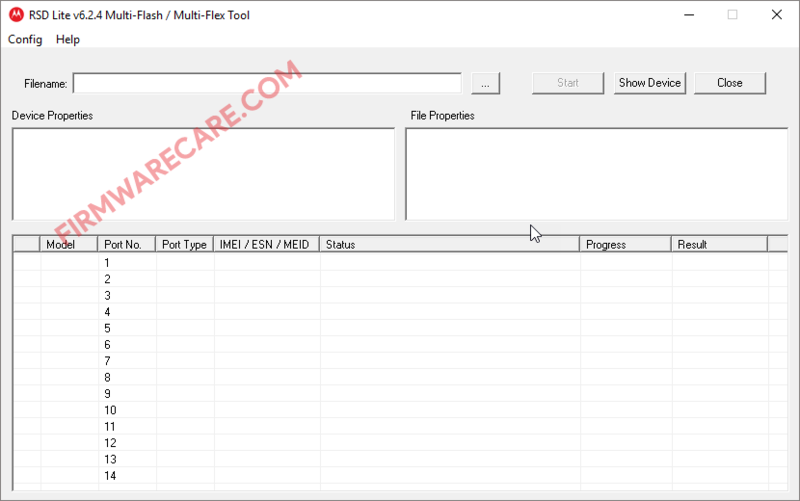 Flashing Motorola smartphones have become easy with RSD Lite v6.2.4 tool because of its simple and easy to user interface. It allows you to flash your Motorola device easily. Flashing the device means to update it with a new program. You shouldn’t do it unless you need to do so in order to fix something. If you wish, you can flash your Motorola devices using Motorola RSD Lite v6.2.4 Tool. Since, it is an open source tool. You may use it free for always. In order to use the RSD Lite Tool, you need to install the Universal ADB Driver on your computer. [*] Compatibility: The RSD Lite Application runs perfectly on Windows XP, Windows Vista, Windows 7, Windows 8, Windows 8.1 and Windows 10 (32 bit and 64 bit). [*] Credits: RSD Lite is created and distributed by Motorola Team (developer). So, full credits goes to Motorola Team (developer) for sharing the tool for free.